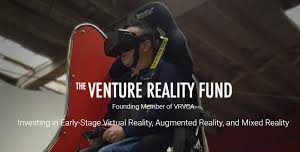 At The VR Fund, we bring expert guidance and resources to promising and early stage VR, AR and MR startups. We seek innovative companies across a wide variety of sectors – from infrastructure and development tools to content and applications. We are eager to help entrepreneurs bring industry-defining technology to market faster, and to positively impact their growth path by providing the capital, insights and strategic relationships needed at this critical time. The best way to predict the future is to build it, the second best way is to fund it. We believe in the transformative powers of this new medium and want to help make VR, AR, and MR happen in the best way possible. Mr. DeMiroz has extensive experience in executive roles with leading technology companies and in global investments. He was a Managing Director of Evolution Media Partners and led its investment in JauntVR. He actively advises various media and technology companies in VR/AR sectors. Earlier, Mr. DeMiroz was President and CEO of PlayFirst, Inc. and sold PlayFirst to Glu Mobile (NASDAQ: GLUU). Mr. DeMiroz obtained his MBA from Carnegie Mellon University; a post-graduate Engineer Degree in Aeronautics/Astronautics from Stanford University; an M.S. in Mechanical Engineering from San Jose State University; and a B.S. in Mechanical Engineering from the U.S. Naval Postgraduate School. Mr. Chennavasin has extensive experience creating both interactive VR/AR and 360 video. He became convinced of the power of VR when he accidently cured himself of his real life fear of heights while developing in VR. He has established himself as VR/AR industry spokesperson and thought leader, and has contributed to many publications and presented at various industry events, He also has entrepreneurial experience as co-founder and CEO of mobile game startup Big Head Mode, Inc. that he sold to PlayFirst to focus on VR. He is an advisor for many VR companies as well as a mentor for VR incubators and accelerators around the world, including Tokyo VR Startups, http://tokyovrstartups.com/. Mr. Chennavasin obtained his BS from Stanford University in Symbolic Systems with a concentration in Human Computer Interaction. HIRONAO KUNIMITSU – Founder and CEO of gumi Inc.
Hironao Kunimitsu was born in Hyogo, Japan. After graduating from Okayama High School, he spent several years traveling around the world. He visited over 30 countries including the US, China, India, Canada, and others in Central and South America. In 1996 he entered Fudan University in China, and then later went on to study at Santa Monica College in the US. In 2004 he entered Atmovie Inc. where he produced movies and televised dramas, and was appointed company director in the same year. In 2007 he founded gumi Inc., and it started listing on first section of the Tokyo Stock Exchange in December, 2014.